This entry was posted in Arts education, Arts entrepreneurship, arts infrastructure, Uncategorized and tagged arts entrepreneurship, Pave program. Bookmark the permalink. Derrick Chong in his great book on arts management notes that an arts organization needs to commit to excellence and artistic integrity (as well as accessibility and accountability). “This is to suggest that merely offering the public what it wants is an abdication of responsibility” (p. 19). 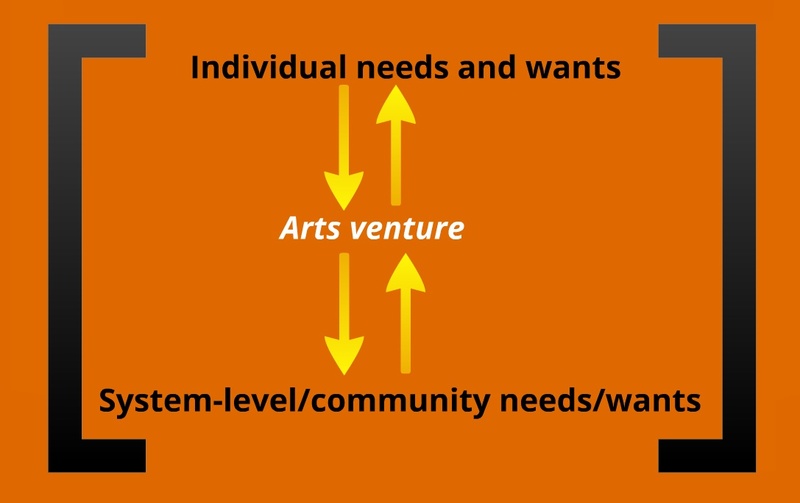 Just because an arts organization or arts manager is responsive to a public, does not mean it is *merely* meeting the needs and wants of that public, but it is *also* doing so, while simultaneously producing or presenting excellent art responsibly. Robert Genter in his great book ‘Late Modernism’ says this about the Modernist thinkers concerns with totalitarianism, alienation, and capitalistic consumerism. “The tools of sophisticated discrimination and contemplation were expelled from the minds of mass consumers in the name of profit and social control”. The idea that society, or “community”, even can realize what they need or want is as much of a question today as it was during Modernism’s heyday. Maybe more so.